In modern Western culture, it has become common to regard dress and apparel as inalienable rights that are essential expressions of the individual. What is more, we have adopted some sort of assumed piety in dressing down. The reasoning proceeds along these lines: God does not look at the outside. God looks at the heart. The priests have been out of work since the destruction of the Temple, but they could be called back to work if the holy Temple in Jerusalem was ever rebuilt. According to the prophet Jeremiah, God's promise to restore the Aaronic priesthood is inseparably linked with his promise to send the Davidic Messiah. 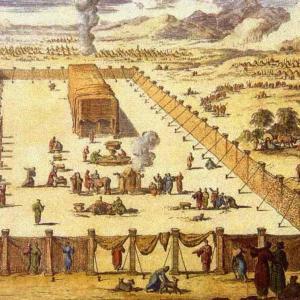 The continual burnt offering set a baseline pattern as the most basic and regular function of the Tabernacle and the Temple. 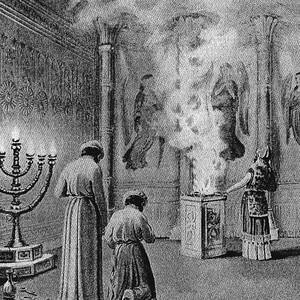 The prayer services, the singing of psalms, the lighting of the menorah, and the burning of incense all occurred in conjunction with the continual offering. The Apostle Paul teaches that God gives different roles to different people. Not everyone has the same role. Just as in the human body, the foot is not the head and the eye is not the mouth, so too in the people of God, not everyone is the same. Not everyone is a teacher. Not everyone is Jewish. Not everyone is qualified to be a priest. But every part of the body is important. A golden plate on the high priest’s turban said, “Holy to the LORD.” The high priest, therefore, carried the name of God and acted in the authority of that name. The words “Holy to the LORD” indicated God’s exclusive proprietorship over him. As the Messiah entered into His spiritual role of priesthood after His resurrection, He received the name above every name, as Scripture says, “For this reason also, God highly exalted Him, and bestowed on Him the name which is above every name” (Philippians 2:9).